The DNR officer will look for evidence that supports the offense. Maybe there is evidence that a deer was dragged through mud or snow? Was the location inside a safety zone? The evidence might be a blood trail or blood in the back of a pickup? Who in the vicinity had a gun, cross bow, or bow and arrow? Where do the tracks lead? The blood may be gathered, preserved, and tested at a laboratory to determine the type of blood in question. If a deer is recovered soon enough, the temperature inside of the animal might be taken to calculate when the deer was killed. The time of kill may correspond with the tip received or actions that the DNR officer observed. It may reveal that the kill took place at an improper time. If the deer was processed at another location, the person who processed the deer might have additional information. It is important to have an experienced criminal defense lawyer to build a defense to refute the DNR officer’s case. One of the most damaging sources of information may come from the hunter’s telephone. 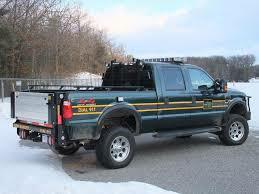 The DNR conservation officer might seek consent to search the hunter’s telephone, or may obtain a search warrant. Why? People have a tendency to take pictures with their camera phone of their prize. Often people send text messages to brag about what they killed. This information is often uploaded to social media as well. A person is not required to surrender data cards from cameras unless there is a valid search warrant signed by a magistrate or Judge. The DNR officer will usually take photographs to document what he or she observed. The photographs could be of the killed animal, excessive bait, or anything else that might be relevant to the investigation. Also, a report is written by the DNR conservation officer to preserve evidence, and to preserve the DNR officer’s recollection of what he or she saw. Once the investigation concludes, either the DNR officer or the prosecutor will decide if a ticket or criminal charge is issued. Many DNR related offenses cannot be resolved simply by paying a fine. The ticket you receive will indicate whether the ticket is a civil infraction or a misdemeanor. Civil infractions can be paid at the Court or contested at Court. 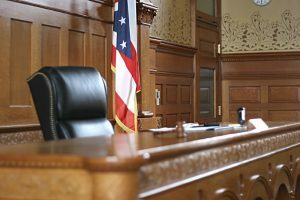 For misdemeanor violations the person charged needs to appear at the District Court for the jurisdiction where the offense allegedly occurred. Ignorance of the law is not an excuse. One of the reasons that a Michigan Hunting and Trapping Digest is available at the start of every season is so hunters are familiar with their responsibilities, and aware of any changes in the law. Hunters and people who fish need to be educated on the conservation laws for the jurisdiction where they pursue their sport. 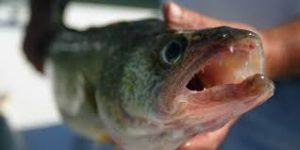 Hunting and fishing offenses are viewed seriously by the State of Michigan and the Court system. It is the job of the State of Michigan to preserve all natural resources. Wildlife Lives Matter. 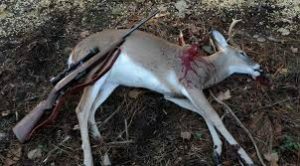 For some offenses, the Judge has no discretion if the hunter is convicted as charged but to place the hunter in jail and to take away hunting privileges. An experienced criminal lawyer that is familiar with hunting and fishing violations is a necessity. Your lawyer can help you obtain a reasonable bond, properly assess the case against you, have a fair trial, negotiate with the Prosecutor about the charge and restitution when appropriate, negotiate with Judge and advocate for a fair sentence when a conviction occurs. 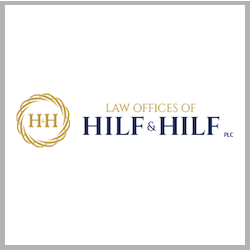 For any hunting or fishing ticket in Michigan, your first choice for legal representation should be attorney Daniel Hilf of the law firm of Hilf & Hilf, PLC. He has the ability, knowledge, and talent to help you with any alleged violation of the law.